January 7th, 2018 was a special day for Philippe Coutinho. It was the day that he described as "A dream come true," as he was presented as an FC Barcelona player. 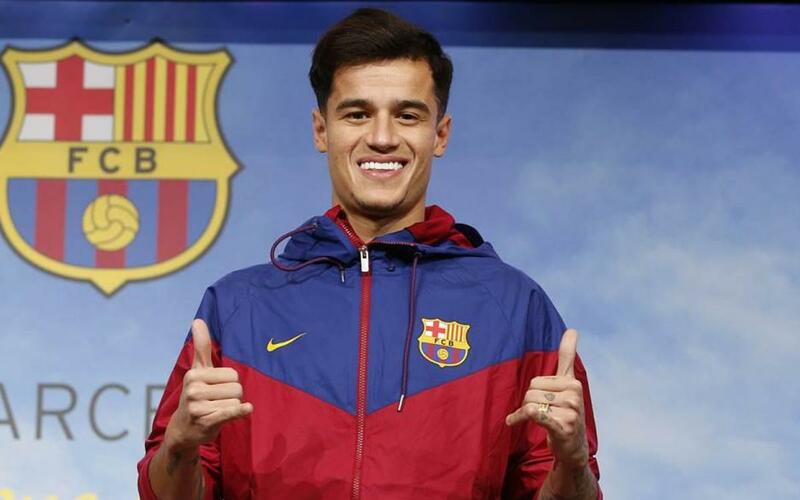 The signing of the Brazilian international, a winter signing from Liverpool, had been announced two days prior, and he was all smiles as he was officially unveiled at the Auditori 1899. Coutinho's signing came, curiously enough, ahead of a game against this week's opponents Levante UD. After his presentation, he paid a visit to the club museum and the Barça Megastore to get acclimatised to the Camp Nou. Barça cameras were following him throughout what was dubbed #CoutinhoDay, providing some great moments and images. He was also interviewed exclusively by Barça TV inside the Camp Nou dressing room, for a special programme entitled ‘Benvingut, Coutinho’. 365 days on, the Brazilian has made 45 official appearances for the club, scoring 15 goals along the way. He debuted in the Copa del Rey derby against Espanyol, on 25 January 2018. His first goal arrived on 8 February at Mestalla against Valencia CF. In his year at FC Barcelona, Coutinho has lifted the LaLiga title, the Copa del Rey and the Spanish Super Cup.